This last trip we snacked a lot more than normal and found some new and old favorites. 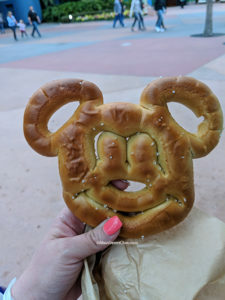 Walt Disney World Snacks are amazing and there is a lot of variety. 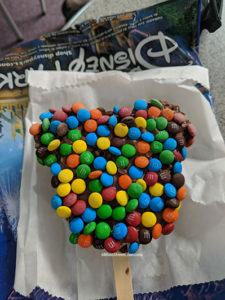 To be honest we tend to do more snacking at the Magic Kingdom. This is mostly because the restaurants fall a little flat for us. This was amazing. It’s super refreshing and big enough to share. 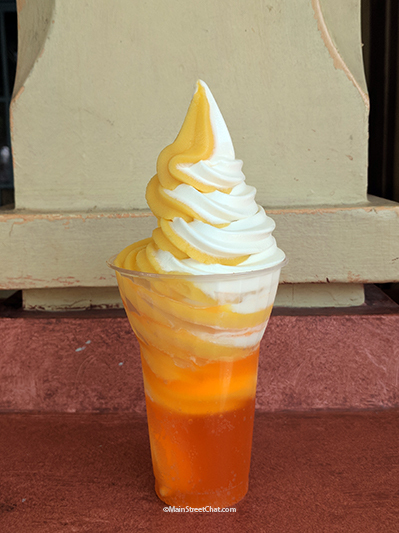 Orange and Vanilla soft serve swirl with orange soda. I can easily say it is going to become a standard snack on vacation. 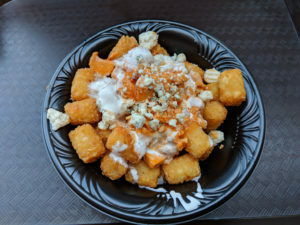 This is available at Sunshine Terrace in Adventureland at the Magic Kingdom. This is a classic and not to be missed! Pineapple soft serve that’s lactose free. 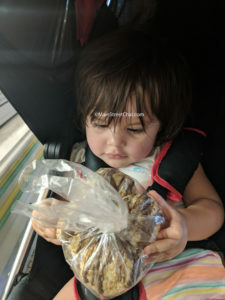 Adolfo loves this and it used to be a favorite of Elyse’s until she developed a pineapple allergy. Available at Pineapple Lanai at the Polynesian Resort or at Aloha Isle at Adventureland in the Magic Kingdom. These are available at all of the parks at little kiosk stands. I know that there is nothing that makes you go wow about this. These pretzels have been a staple for us as long as we can remember. Okay, so I’ve got to say that the way these look are deceiving. It gets a solid F for presentation but OMG this is so good on a hot day. We actually got this as a snack when Kaitlyn was sleeping through lunch and it totally hit the spot. The portion is ginormous and it’s perfect for sharing. This is super salty, so if you don’t like salt I would stay away. Also there is a lot of blue cheese on here (YUM!). You can find this at Friars Nook at Fantasyland at the Magic Kingdom. So those are our Top 5 Snacks what are yours? How would your list differ? Let us know in the comments below!